38 - $130.99 Only 2 left! 40 - $130.99 Only 3 left! 42 - $130.99 44 - $130.99 Only 3 left! 46 - $130.99 Only 4 left! 48 - $130.99 Only 2 left! 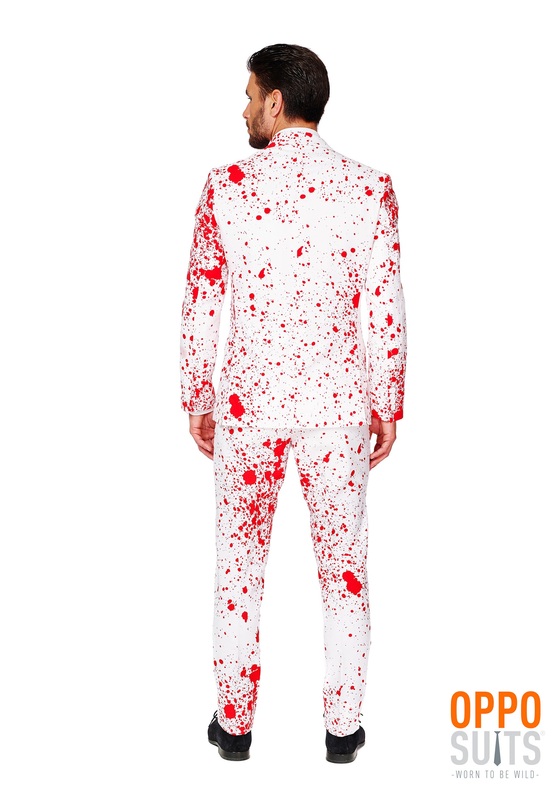 What is a forensic blood splatter analyst to wear to his Christmas party? He can't wear the same ugly sweater that he has worn to every Christmas party since he started going to the parties. He can't wear a plain suit, he doesn’t want to just blend in with all the other analysts. He wants to stand out. To be unique. Although if he is going to be a robin hood like serial killer on the side...maybe he should try to blend in a little more. Blood splatter patterns look pretty interesting. We could have easily made it ink splatters to create the same pattern, but that would have been less cool. Besides bright red blood looks pretty nice against a solid white background. The way the blood collects in sporadic globs, and smaller droplets is almost mesmerizing to look at. So this December don't wear an ugly sweater to your Christmas party. Wear something with style. Something with a little panache. 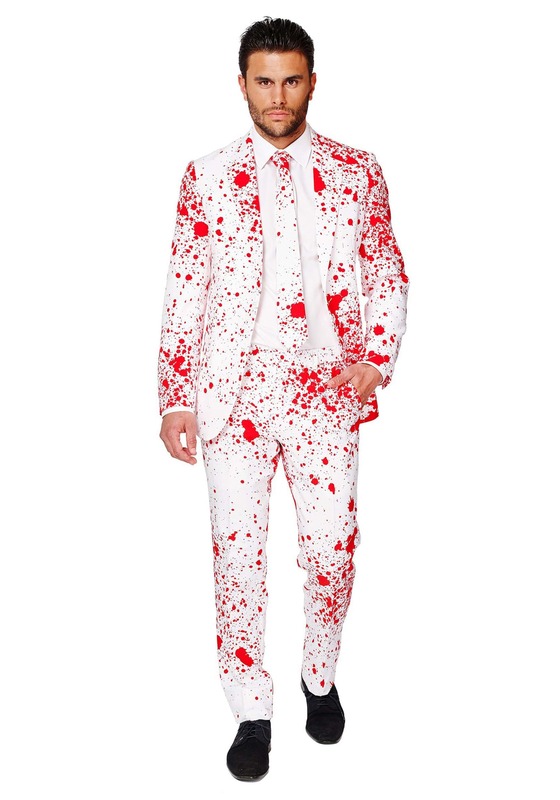 Wear this Mens Opposuits Bloody Suit. (Try and say that five times fast.) Not only will you be best dressed, but you will be mesmerizing to look at. This is a great time to show everybody how interesting it is to be a forensic blood splatter analyst. Just maybe try not to go all serial killer at the party. No need to give anyone a first hand demonstration of how blood splatter patterns can be made with broken Christmas tree ornaments.